Harav Dovid Grossman, zt”l, a well-known and beloved marbitz Torah in the Los Angeles community, was niftar after being injured in a car accident in Staten Island early Monday morning. He was 72 years old. From the day of his arrival as a founding member of the Los Angeles Kollel more than 40 years ago until his sudden passing, Rav Grossman played an integral role in the growth of the kehillah’s ruchniyus. His unending hasmadah, ahavas Torah, and ahavas Yisrael left an indelible impression on his many talmidim and others who benefited from his Torah and chassadim. His reputation spread well beyond Los Angeles as recordings of his popular Daf Yomi shiurim became a favorite among those studying with the program throughout the world. The details surrounding Rav Grossman’s petirah themselves provide a small window into the characteristics of this unique talmid chacham, described by those who knew him as “an engine” of Torah and avodah. He had flown from Los Angeles for one day to attend the bar mitzvah of a great-nephew in Lakewood who had finished the entire Shisha Sidrei Mishnah using recordings of shiurim that Rav Grossman had made many years ago. While on the short visit, Rav Grossman not only attended the simchah, but managed to visit each of his children and grandchildren living in the area, making time to learn with many of the young boys and bachurim. 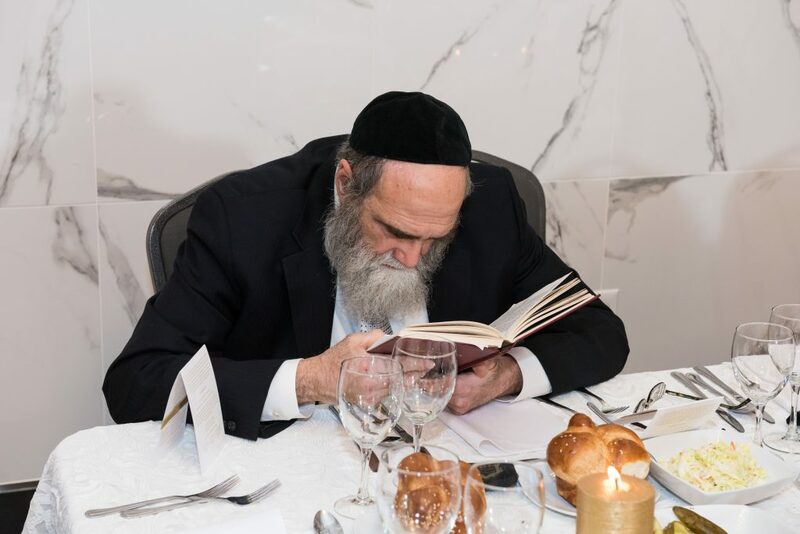 Wanting to be back in Los Angeles on Monday to deliver his regular shiurim, he was on his way to catch an early-morning flight when the tragic accident occurred on the West Shore Expressway in Staten Island. Rav Grossman was born in 1945 and grew up in the Boro Park section of Brooklyn, where his parents, Mr. Max, z”l and Mrs. Mildred Grossman, a”h, lived. Mr. Grossman worked as an accountant and was involved in askanus through Agudath Israel. Young Dovid first attended Yeshivas Rabbi Jacob Joseph on the Lower East Side. While there, still a young bachur, he forged a deep bond with Harav Tuvia Goldstein, zt”l, the renowned posek who served as a member of the hanhalah at the time. For the rest of his life, Rav Grossman always considered his boyhood Rebbi to be his posek, and he kept in close contact with him, often quoting his opinions on matters of halachah. He would go on to spend several years learning at the Yeshivah of Philadelphia, where he quickly became known as one of the most diligent masmidim in the beis medrash, spending untold hours mastering sugyos b’iyun as well as building up a tremendous breadth of bekius in Shas. Rav Grossman became a close talmid of both Harav Elya Svei, zt”l and, lbl”c, Harav Shmuel Kamenetsky, shlita. He was much admired by his fellow talmidim and, as his deep immersion in Torah did not detract from his warm and approachable personality, he served as an inspiration and mentor to many of them. In the late 1960s, Rav Grossman traveled to Eretz Yisrael, where he studied in Yeshivas Mir under Harav Chaim Shmuelevitz, zt”l. Despite the relatively short time he spent in the yeshivah, Rav Grossman always counted the great Gaon and baal mussar among the rebbeim who influenced his life. During this period, Rav Grossman married Rachel Pappenheim of Bnei Brak, the daughter of Harav Yaakov Koppel Pappenheim, zt”l, a prominent figure in chinuch. The couple spent several years living in Lakewood, where Rav Grossman became a prominent and respected member of the Kollel of Bais Medrash Govoha. Those who learned in the yeshivah at the time recalled that he made a regular practice of learning through each Thursday night and not returning home to rest until after Friday’s morning seder was complete. So deep was his attachment to the beis medrash that even decades after moving to Los Angeles, whenever he was in Lakewood, he would make every effort to daven there, even sitting in his old makom kevuah in the yeshivah. In 1975, Rav Grossman joined the elite group selected by Harav Moshe Rubinstein and, ybc”l”Harav Chaim Fasman, zt”l, to be the founding members of Los Angeles’ Kollel. Drawn by his energy and sincerity, without fanfare, he taught and inspired countless individuals in the community to strive to greater heights in limud haTorah and avodas Hashem. Perhaps most of all, Rav Grossman taught by example. Rav Bess recalled that his hasmadah and enthusiasm for learning had not waned since the days they spent together in Philadelphia. For several years, Rav Grossman served as a maggid shiur for high school age bachurim in the Yeshivah Gedolah of Los Angeles. More recently, he led a chaburah that he founded, geared for young men who are either working or in college, as well as delivering several shiurim at the Kollel and throughout shuls in the community. The Grossmans’ presence in Los Angeles was not limited to harbotzas haTorah. Their home has become a bastion of chessed, often hosting large numbers of guests for Shabbos and Yom Tov seudos. Rebbetzin Grossman, who is a leading mechaneches in the community, regularly prepares dozens of kugels Erev Shabbos as gifts to almanos in the community, which were dutifully delivered by Rav Grossman himself. The levayah was sheduled to take place Monday night at Beth Medrash Gevoha in Lakewood and to proceed to Eretz Yisrael for kevurah on Har Hamenuchos. Rav Grossman is survived by his wife, Mrs. Rachel Grossman; brothers, Reb Baruch and Reb Yehoshua; a sister, Mrs. Elaine Zimmerman; sons, Reb Binyomin, Reb Meir, Reb Chaim, Reb Avrohom, Reb Moshe; and, daughters, Mrs. Sarah Fischer, Mrs. Tzippy Rokowsky, and Mrs. Efrat Privalsky, as well as by many grandchildren.